Predictions: The beginning of the EU End? When Will Greece Exit EU? Who Is Next? Bravo and congratulations to the left-wing SYRIZA party for spectacularly winning the Greek elections! This is the beginning of an end of the EU! What is fascinating is that in this resistance to the EU and US dictate, the most unlikely forces get united: from far left to the very radical right; from spiritual people to simple farmers and big industrialists. This is because the present day US/dollar-centric ‘world order’ makes no sense to anyone, and just about anyone who has two brain cells to rub against each other wants change. However, it will take perhaps a few years for Greece to exit the EU due to how entangled the economic and financial situation is and how much pressure Greece receives from Brussels, Germany (which stands to lose most), and France. And don’t forget the NATO pressure; plus, the biggest monster of them all – the United States! I see Greece exiting the EU around 2016 or 2017. This event is set in stone and is just the matter of time: GREECE WILL EXIT THE EU! More defections are on the horizon, including Italy, France, UK, Hungary, among others. Many smaller Eastern European countries are desperate to exit the EU, but they are practically enslaved by Germany, as they say, and can’t get out. Even Italians complain that they had been enslaved by Germany, remembering with nostalgia the good old non-EU days, and confessing how much they hate Merkel. That said, many Germans also understand very well what is happening, as we discussed in a number of previous articles. The whole thing will implode and exodus out of EU will become a stampede by the 2020s. This will be an interesting deja vu of the implosion of the USSR. At the same time, more and more countries will want to join a union with Russia and become part of Eurasian Union and SCO. Once 2020s roll in, you won’t recognize the world around us! As I said in my last piece, West Invaded Ukraine: English-Speakers, NATO Troops Fight for Kiev Junta in Mariupol!, the deeper US/NATO/EU dig their claws into the poor Ukraine, trying so hard to destroy it in order to harm Russia, the harder they will fall in the end. Incidentally, did I mention that both Greeks and Italians love Russians, and en masse support Putin and Russia. I just spoke with various people from both countries. They are also very much anti-Kiev junta, and anti-fascism in Ukraine and EU. An average person on the street understands correctly what is happening in Ukraine. Moreover, today, TV in both Greece and Italy is showing a pretty truthful account of the events in Ukraine. The Italians are incredulous and angry that US/EU/Kiev would bomb people, blockade cities, deny pensions, and destroy infrastructure in E. Ukraine. My sister residing in Italy (who is originally from the Russian city of the ship-builders Nikolaev, located not far from Odessa – both for now a part of Ukraine), as well as my other sources, confirm that. Similar opinions are coming from the people of other countries, including Cyprus, Albania, Romania. The people all over eastern and southern Europe know what is going on. They also hate the anti-Russian sanctions and confrontation with Russia. For now they think they can’t do anything about it. But the discontent is brewing and status quo will change! As usual, for more of LADA RAY’s PREDICTIONS see the Predictions page on top bar. by RT. Greece leaves behind five years of humiliation and suffering, fear and authoritarianism, said the leader of the winning Syriza party, Alexis Tsipras. The new Western sanctions, including defence and oil sectors, hit Russia despite ceasefire in Ukraine, the exchange of prisoners, the Minsk meeting between Putin and Poroshenko, and Putin’s peace plan for Ukraine that is being implemented, albeit with a limited success. Putin called the new sanctions “odd.” Odd indeed, as EU still insists Russia must change its policies in Ukraine, as if all the above never happened. At this point it is clear that nothing short of Russia becoming a slave to the West, or happily self-destructing to please the maniacal NWO Western “leaders,” will stop the sanctions. Many are scratching their heads why these non-sensical sanctions are being implemented now. Instead of encouraging the peace process in Ukraine, they are bound to discourage it. It is also being pointed out that the Kiev regime is using the ceasefire in order to regroup, build-up defenses in strategic points, and to bring fresh troops in order to restart the offensive against Donetsk and Lugansk this fall. Meanwhile, NATO is conducting joint NATO-Kiev exercises in western (pro-ukronazi) Ukraine. These have already been dubbed a “provocation.” However, I think the reason is deeper: these exercises are done to camouflage the transfer to Kiev of the Western military technology, munitions, specialists and money. The Kiev junta has been charged to continue conducting the civil war, devastating its territory and population. It would have been possible to stop this madness if Kiev offered broad autonomy to Donbass back in the spring, but the prevailing fascist/western-dependent element in the Kiev government wouldn’t do it as they obviously don’t have their citizens’ best interests at heart. The result is this: Ukraine’s economy is destroyed, and will be destroyed even more; grivna is losing value every day. Citizens don’t have electricity, hot water, experience severe gas shortages; come winter, they will be freezing in their apartments. Poverty and lack of resources is visible clearly in villages and smaller cities all over Ukraine. By the end of fall, these will be visible in the largest cities. By the end of winter serious poverty will strike Kiev. I previously predicted another maidan by next spring. In fact, big and small maidan after maidan will be occurring for a while. The territory once called Ukraine will be experiencing shocks and tremors until it comes into balance. This balance cannot be achieved through this corrupt to the core government and while the country is a de-facto US occupied territory. Billions upon billions invested into the destabilization of Ukraine by the US are paying off in the most gruesome fashion. This is yet another country added to the long list of victims in the US fight for global hegemony. But all this is done on borrowed time, not to mention, on borrowed money. The reason for anti-Russian sanctions isn’t Ukraine, or Novorossia (Donetsk – DNR, Lugansk – LNR). The West could care less about them. In fact, they would LOVE to destroy Ukraine as much as they possibly can because they know that they won’t be able to hold on to it forever. The grand plan is to leave the territory known now as Ukraine in ruins, so the future generations of Ukrainians and Russians would take a long time and lots of resources to put it back together, and to make it work again. Meanwhile, why not use Ukraine as their cannon fodder, as they had done to so many others before. The worst thing is that Ukrainians are happily assisting their Western puppet masters, walking blindly into the trap they can’t see because of their ignorance, misguided hatred and short-sightedness. The global West is the excessively yang – in other words, aggressive, male, extroverted, loud, superficial, materialistic, expansive, initiating, go-getter, ego-driven, individualistic – culture, as opposed to the global East and South, which have been traditionally yin – introverted, deep, female, submissive, nurturing, quiet, spiritual, collective, selfless – cultures. There are degrees of yin-ness and yang-ness, and these may change in time and space. Russia is the Great Balancer of our planet. It is the only global yin-yang (in other words fully balanced, comprised of both yin and yang sides) culture. It is on the shoulders of Russia that the balance of our planet rests fully. This is why Russia has such wide and spread-out territory. The territory of Russia used to be much, much larger if we look very deep into history. I am talking 1000 years and more. However, the true history of that time was suppressed and deleted, and a false history was created; this happened at the time when the yang global West started rising. Such large territory has always been necessary for Russia to keep the world in balance. I write about it in Predictions, and I’ll write more on this topic going forward. When Russia was weakened tremendously after the collapse of the USSR in 1991, the world, as it happened so many times before, tilted into a gross imbalance. In fact, 199os were the culmination of the yang imbalance that started about 1000 years ago, and kicked into high gear 300 years ago. That said, the sheer explosion of the yang imbalance occurred in the past 30-40 years. The yang West and excessively yang USA in particular, were allowed to accumulate too much power. Historically, it has been the specialty of the global West to expand, invade, destroy, steal, pillage and kill. No one in history has ever done destruction and invading on such grand scale, so systematically and so…SUCCESSFULLY. Examples are: the looting and destruction brought by the Crusades (incidentally, this is what started the rise and riches of Western Europe; before that, Europe was a hell hole); the looting and genocide of the indigenous population of the Americas (American Indians) – by Spain/Portugal/England/France, and later, by the most democratic country in the world, USA (more ill-gotten riches); India’s brutal occupation by England (India’s and other countries’ looted riches created the “mighty Anglo-Saxon empire”); Europe’s slavery and colonialism in Africa; Western Europeans started both WWI and WWII. USA’s infamous wars and other “good deeds:” slavery and racial inequality that existed in the US legally till late 1800s and de-facto till 1960s, Afghanistan, Iraq, Vietnam, Korea, nuclear bombings of Hiroshima and Nagasaki, Serbia and Libya bombings, attempts to invade Iran and Syria, crippling Cuba embargo, countless bloody CIA coups executed globally, bloody regime changes engineered all over the world by US/UK… And so many more examples. Let’s not forget the presently existing system of Western neocolonialism, in other words, the sucking of the life and wealth from the rest of the world through the worthless dollar dominance. This is a more subtle and invasive aggression, which the victims often don’t see. This global slavery system is ensured and strictly guarded by the American guns, and its life span needs to be prolonged at all cost to postpone the unavoidable implosion of the US economy based on unsustainable debt, and by extension, of the UK/EU economy as we know it. Anti-Russian sanctions aren’t about Ukraine. Oh no, the reasons are so much bigger and all-encompassing. 1. The power is slipping away from the US and NWO. It is moving to the East. Russia is the singular arch-rival they always had, the only one capable of uniting the yin, non-aggressive, East and Global South against the cabal. The West/NWO want to stop, or at least slow down, Russia. 2. The West sees that despite the engineered 1991 demise of the USSR; despite the wholesale sabotage of the Russian economy and Soros/NGO/fifth column infiltration; despite the 300 years+ (yes, it’s been this long) of the blatant anti-Russian propaganda by the West, Russia has yet again recovered and is making new heights and new friends. This is yet another desperate attempt to sabotage Russia, making black seem white and vice versa. 3. The anti-Russian propaganda stopped working. I showed it in my previous piece: Why US/EU/NWO Can Never Defeat Russia. a. Last week’s SCO Summit in Dushanbe, Tajikistan, saw several new breakthroughs. A new strategic triangle is forming: Russia – Mongolia – China due to the world’s largest pipeline from Russia to China. Read more in Predictions Coming True! Russia Pivots to Asia: Putin goes to Mongolia and Opens Power of Siberia Pipeline to China. SCO is growing – the new members to be accepted soon: India, Iran and Pakistan. Many more are knocking on SCO’s door, including Afghanistan, Turkey, Egypt. Russia returns to Central Asia – Kyrgyzstan, Uzbekistan, Tajikistan. b. Russian cooperation and trade with Latin America is growing by leaps and bounds, following Putin’s week-long Latin American visit. Read: New Predictions! Putin Goes to Latin America: US Creates Wars – Russia Extends a Hand of Cooperation. c. Russia – China gas mega-deals and transitioning to trade in national currencies. Watch: Russia’s #GMO Ban & Russia-China Holy Grail Gas Deal and Predictions: Russian Gas and Russia-China Deals. d. Russia and China pushed through the BRICS Bank formation to counter IMF. f. Many small countries and break-away regions are knocking on Russia’s door and the doors of the EAU. More in Why US/EU/NWO Can Never Defeat Russia. Also: LRL3: Sold-out EU Politicians vs TRUTH, and LadaRayLive 2. Explosion Coming! Moldova/Transnistria – Eurasian Union vs EU. g. Russia successfully countered West’s previous sanctions with own food/agriculture sanctions. The queue of the alternative suppliers to the Russian market is growing. Russia can pick and choose who to buy from. Read: Predictions: Russia Hits West With Return Sanctions and Russia’s Sanctions: Who Wins, Who Loses? All this makes the West only angrier, and therefore, more dangerous. The control is slipping away and nothing is really working the way it used to. The world is changing, and the leader of this change – its litmus test – is Russia. This is why they want to damage Russia as much as possible. Trouble is, the energy used to move in favor of the West; now the energy is moving towards Russia and the East, and away from the West. In the past 5-6 months, I have made a number of predictions about the West’s sanctions. I said that any sanctions against Russia long-term will be beneficial for Russia and will prove to be a disaster for the West. I said that sanctions will consolidate the Russian society; that Russia needs the kick in the rear in order to start reforms of the Western-infested government, legal, financial, trade, business, education and social spheres. I also said that Russia would be pivoting more and more to the East (and the Global South). My predictions are coming true every day! Read my various predictions in Archives and of course, in Predictions. 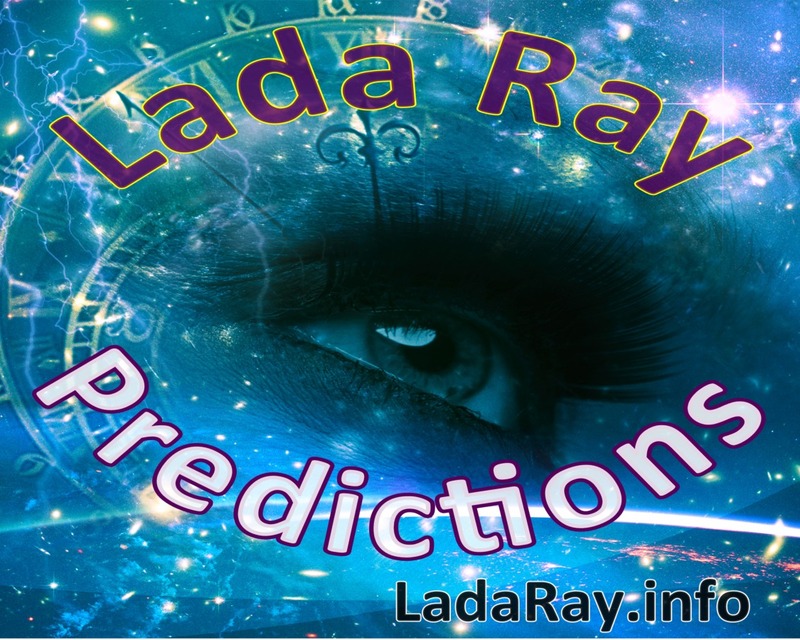 From FT Admin: We are systematizing various predictions by Lada Ray on the new PREDICTIONS page at LadaRay.info site. All Lada’s predictions will be eventually presented in a convenient chronological form. Stay tuned for this, and many other new and exciting things to come! For now, read Lada’s Predictions on this blog. This is guest post by a friend of FuturisTrendcast and spiritual blogger extraordinaire, Kp at kauilapele.wordpress.com. I am reposting Kp’s open letter to US president Obama with Kp’s kind permission: Original article link. I would like you to view this video. I am absolutely appalled that this U.S. administration is supporting and backing a person such as Poroshenko, as well as his predecessor, a Nazi (Svoboda) sympathizer. I am absolutely ashamed to have to say that I live in a country whose government is supporting an essentially Nazi-style regime that bombs its own people. You call yourself the President of a so called “of/by/for the People” government? It appears to be nothing of the sort. And certainly the Ukraine government appears to be nothing of the sort. Everyone is quite aware that the US and NATO are behind the overthrow of the previous Ukrainian President, as well as the current inhumane bombing and shelling of East Ukrainian cities and their people. You are supporting this???? These are war crimes. And you are blaming Russia for the shooting and the problems over there? And for the annexation of Crimea, which was nothing of the sort? They voted to return to Russia. This is not what I signed up for with you, Mr. President, and I offer my strong NO to any continued U.S. involvement in Ukrainian affairs. 1. Streamer (volunteer cameraman who films footage of real events) Vlad, 16, kidnapped and tortured by Kiev nazis. Vlad, who is originally from Mariupol, Eastern Ukraine, started filming how Kiev tanks occupied his native city, shooting civilians, running them over, destroying the city. This footage went viral. After that, Vlad was kidnapped and tortured by the ukro-nazis. His family was threatened and he was made to sign a document announcing that everything he filmed was a lie. When Vlad was kidnapped, a global social media storm entitled “Free streamer Vlad” started, as a result of which Vlad was released. Don’t ever underestimate the grass-roots movement! Added at 5:33. Unbelievable! I just posted this video from AnnaNews containing the interview with 16year old Streamer Vlad after his release (plus another one below), and it already says that their account has been terminated. I know for a fact they have no copyright infringement as all videos are their own authentic reports. These are bogus copyright claims so their channel is terminated and all the evidence they have collected is wiped out. This is not the first time this has happened. Someone is really bent on destroying the evidence of crimes committed in Ukraine. Sorry, had to delete the video interview with Vlad. This is the video of the latest killing of a Russian cameraman for Channel 1 Russia, Anatoly Klyan. I found out more about this man from other sources in Russian. He was well over 60 and retired. He spent 40 years behind the camera in the hottest spots on the globe. He filmed in Iraq, Afghanistan, Pakistan and just about everywhere else. He decided to come out of retirement to help out in eastern Ukraine. Kiev put a ban on the entry onto the territory of Ukraine of ALL RUSSIAN MALES aged 16 to 60. Western democracy in action, people! So, Anatoly Klyan said: “I am over 60. I can go, I can be useful.” Russian correspondent and Klyan were riding in the bus together with soldiers’ mothers, who were going to a Ukrainian military base to protest their conscripted sons being dragged into war with their own people. The bus was ambushed. Klyan was wounded and died before reaching the hospital. The driver was wounded in the head and drove the bus to safety with the bleeding head wound, at the expense of his life. He died too. 3. Also, a news summary for Novorossia from AnnaNews. (the video below had to be deleted because YT terminated the AnnaNews channel a few minutes ago). They have the English stream at the bottom of screen. They also talk about the death of the Russian cameraman and bus driver. In another news: Novorossia announced that all properties by oligarch Akhmetov will be nationalized (he is the biggest oligarch in Donbass). Also nationalized will be all properties of those oligarchs who are refusing to pay taxes to the Donetsk Republic. Also, in Slavyansk, which is constantly being bombed, people are being hospitalized with symptoms of Chlorine (or Chlor?) poisoning. It appears Kiev is using Chlor based chemical weapons on population. Text in Russian: В Донецке на территории воинской части 1428 фашисты открыли огонь по автобусу, в котором находились матери солдат-срочников и журнилисты. В результате обстрела был убит оператор ОРТ Анатолий Клян и водитель автобуса, который ценой своей жизни вывез автобус с людьми из-под обстрела. СКР России возбудило по данному факту уголовное дело. Под обстрел у воинской части попала так же съемочная группа Lifenews. С горы Карачун продолжался обстрел района Артем города Славянска. В результате обстрела есть убитые и раненые среди мирного населения, поврежден трансформатор — единственный на весь район. Украинские каратели обстреливают Металлист. Люди с симптомами отравления хлором поступают в больницы Славянка. Пушилин заявил, что ДНР планирует национализировать предприятия Р.Ахметова и все предприятия, которые не платят налоги. Footage of refugees from Ukraine running into the Russian territory to hide from shelling. Starts at 1:55. I am doing all this so as many people as possible would read it, and understand what’s happening. As I said, my time is limited. It takes a life-time of experiences and knowledge to write these articles and make videos. If you want to keep reading my posts and watching videos, please support FuturisTrendcast blog and EarthShift TV channel on YouTube. Subscribe, like, and very importantly – promote my blog and videos! Share them with everyone you know! I conveniently post Facebook, Twitter, reblog, google+, email and many other buttons below each post. I will only be able to continue what I am doing, if I see your broad support. If you think my message is important, please email the alternative media and ask them to interview me, and/or syndicate my articles. Some of the links are posted on the Links page. I am sure you can think of other alternative media outlets, as well. This is how those interested in interviewing me can CONTACT me. I always appreciate my readers purchasing my books. You’ll enjoy my books if you want to understand my message on a deeper level, and if you want a great read, too. The important elements in my books are geopolitics, dirty underbelly of the world, global consciousness, spirituality, distortions of history, and truth. The Earth Shifter has been dubbed by reviewers “prophetic and revealing.” Gold Train (Accidental Spy Russia Adventure) is a fast-paced thriller based on true historic events, involving the disappearance of the gold reserve of the Russian Empire and present day conspiracy. It’s worth checking out the lighter-toned satirical mystery Stepford USA (Accidental Spy Small Town Adventure), as well as my two short novelettes, Catharsis and Green Desert – ebook presently free on Amazon. My books are international, or inter-dimensional, adventure thrillers. Both very affordable ebooks, and paperbacks, are available worldwide. See Amazon links on the side bar, or go to Books by Lada Ray for additional buy links. I had to post this video and translation, so more people in the West could see what’s really going on in #Donbass (#Donetsk, #Lugansk, #Slavyansk, #Kramatorsk). It also shows the real face of the “democratic government” in #Kiev, #Ukraine. The video is in Russian and I recommend you watch it. The footage is self-explanatory. You can also find an internet translator service for a full translation. I have translated the main highlights so it’s easier to follow. 2:16 Destroyed golden-domed church. The sacred icon’s glass broke, but the icon is intact, despite all the destruction around it. 2:27 Saying goodbye to the local nurse killed during a bombing, as well as other killed residents. 3:06 #Semyonovka bombed with UN banned chemical weapon – phosphorus bombs. 3:40 Accredited Russian journalists from the Zvezda TV channel were kidnapped a few days ago in Dnepropetrovsk and severely beaten by Ukraine authorities, who demanded $200,000 for their return. The journalists were later freed and taken to a hospital in Moscow with severe injuries: one has ruptured ear drum, both – severe hematomas all over their bodies. 4:47 Report about intimidation and driving out of Ukraine of a young fledgling singer, Daria Gromova, 21. She is the daughter of one of the Lugansk activists. Ukraine TV and press did reports on her, which resulted in an intimidation campaign. They said that “the daughter of the Donbass terrorist boss is on a tour of Europe paid for by the Ukraine taxpayer.” Daria says it’s a lie. After that, Daria received multiple death threats and was forced to flee to Russia, where she is trying to get a refugee status. Her father stayed behind in Lugansk and she is very worried about him. Daria: we live very modestly, I never went to any big tours and I don’t lead a glamorous life. I worked since I was 16 to help my parents; I sing in restaurants. I did win an amateur competition once based on Ukrainian TV voters choice, and the prize was a short trip to Paris. Officially, there are presently 100,000 Ukraine refugees in Russia. Many families are torn apart as husbands, fathers, grandparents stay behind as women and children flee. The real number is much higher; many people don’t go through official channels and simply leave on their own to stay with relatives and friends. Many are trying to obtain Russian citizenship. Overall, there are at least 5-6 million Ukrainians presently living and working as guest workers in Russia. Ukraine is getting progressively emptier. Mass pro-Russian, anti-fascist, anti-Kiev junta, march in the second largest city of Ukraine, #Kharkov (former capital of Ukraine). Demonstrators, many women, marched to the Russian consulate, chanting: “Kharkov is a Russian city,” “Novorossia,” “Kharkov, rise up,” “Fascism won’t pass,” ‘Kharkov against Kiev junta,” “Poroshenko is fascist,” “Donbass, we are with you,” “Slavyansk – a hero,” and “Russia.” This comes on the heels of the Kiev junta’s bombing of Donbass with UN banned chemical weapon – white phosphorus, and violent attack by Ukraine extremists on the Russian embassy in Kiev. See related: Breaking! Ukraine Mob Vandalises Russian Embassy in Kiev. Note, in the past couple of months, the people of Kharkov were being actively intimidated by the Kiev junta authorities – activists kidnapped and killed, people’s jobs and businesses threatened. This is why the protests in Kharkov and nearby industrial city of Dnepropetrovsk had seemingly died down. However, the latest events made people forget their fears and rise again. Note, YouTube terminated Anna-News, the news service that posted these videos for “multiple third-party copyright claim violations.” I know for an absolute fact that they had none as all of their material was their own authentic interviews. Someone keeps filing bogus claims against them for telling the truth. At the time of termination AnnaNews YT Channel had 129,000 subscribers. Sorry, had to delete the videos.